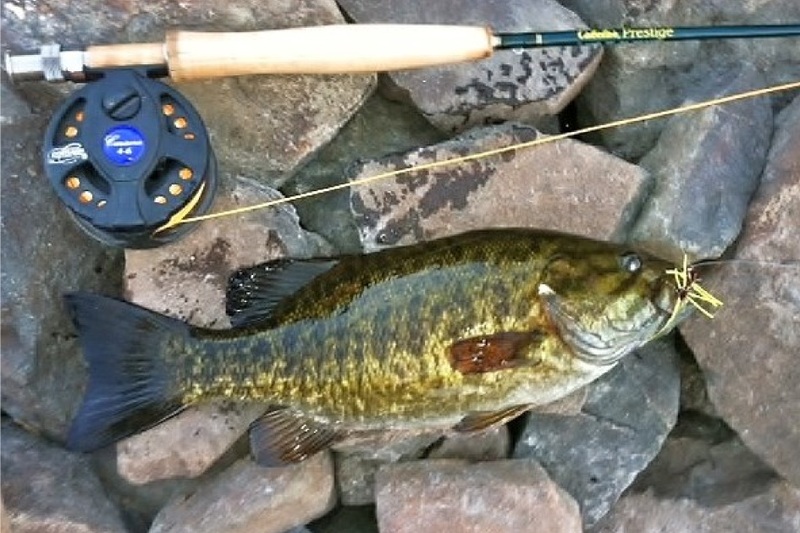 Idaho Fly Fishing for Smallmouth Bass Top Water Flies in Hells Canyon Snake River from Jess Baugh on Vimeo. 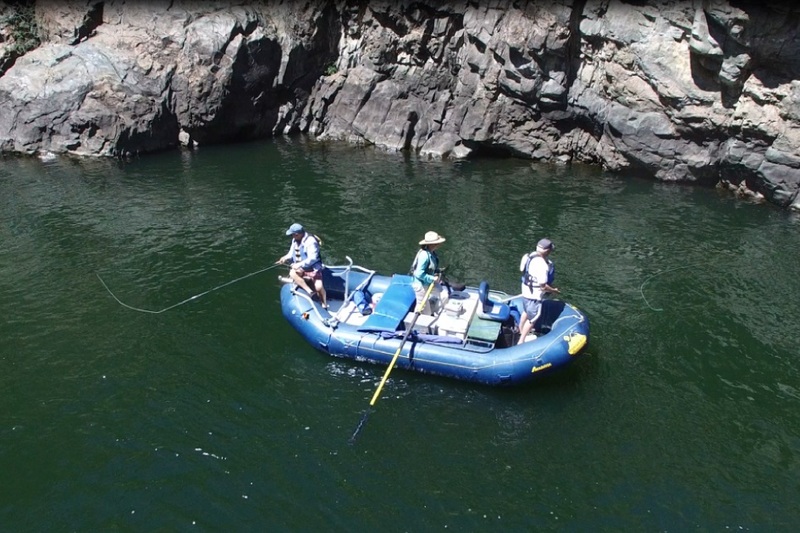 This adventure into Hells Canyon, the deepest gorge in North America, has endless possibilities for the Fly Fishing enthusiast. 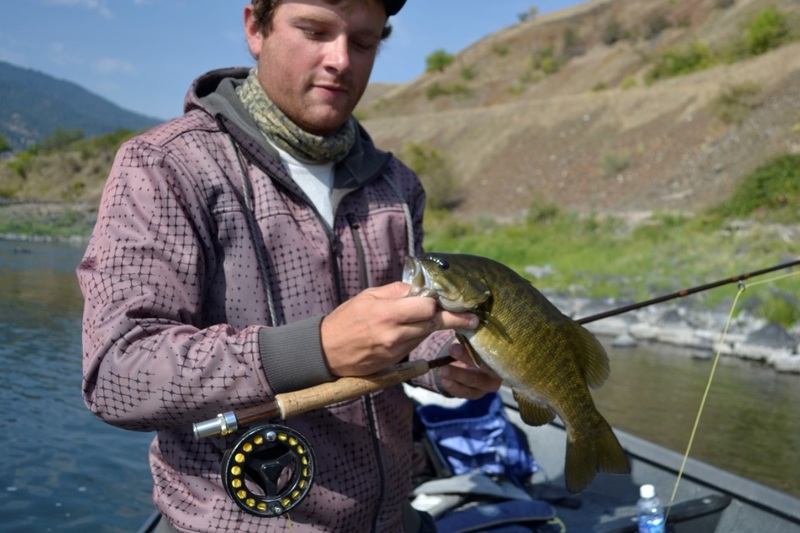 This trip can be catered to each individual's passions wether you like fly fishing top water poppers, strip a muddler just under the surface or swing a streamer Hells Canyon offers the best Small Mouth Bass numbers anywhere. The Snake River also has good Rainbow Trout fishing in the ripples and faster water, great for swinging. 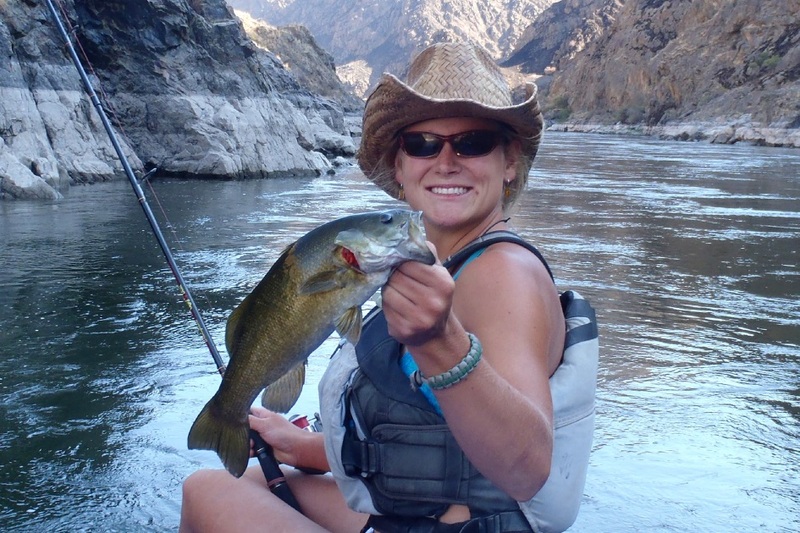 The Snake River offers World Class Fishing along with a bit of adventure as your guide navigates you down this impressive wilderness canyon and it's whitewater. Relax at camp where your deluxe backcountry accomodations will be waiting after your incredible day of fishing. Enjoy all the comforts of a lodge in the wilderness where your guides will prepare great dutch oven cooked meals. 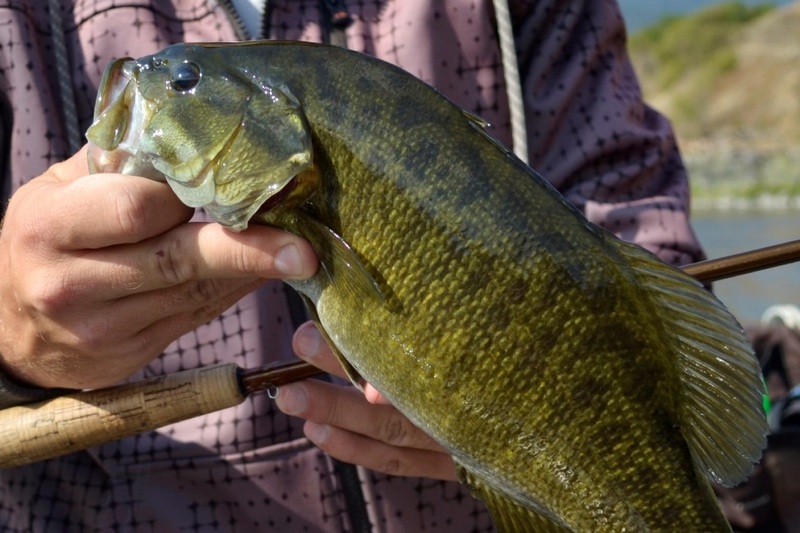 Watch Smallmouth Bass come from 5 feet under your popper and expode out of the water, over 80 bass per day is average and 100+ fish days are not uncommon. This wilderness adventure is packed full of possibilities with many different species, Smallmouth Bass will, Rainbow Trout, Catfish and Sturgeon are all available in this fisherman's paradise. Catch rates for Bass wether your casting a popper with your fly rod or top water fishing with soft plastics with a spinning rod, 80 fish days are average this is not including a few trout you can mix in. The wilderness of Hells Canyon is full of storied mountain men and Indian history. 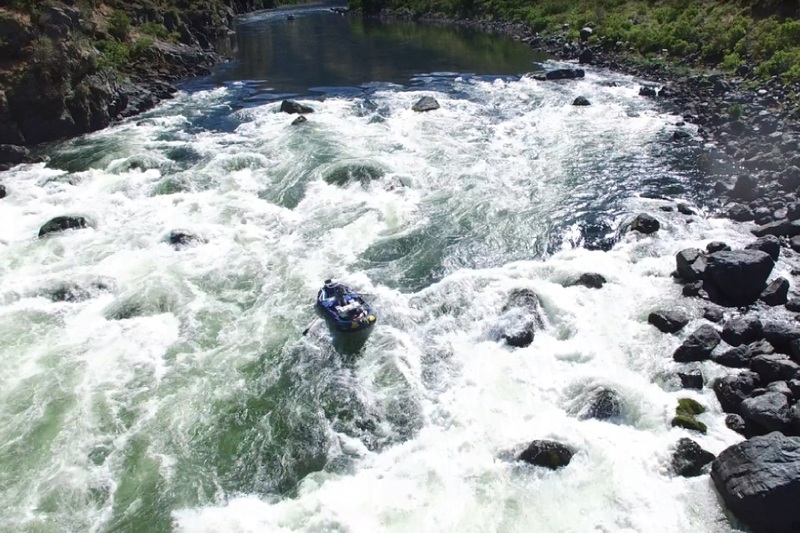 Your adventure begins at the start of the wilderness at Hells Canyon Dam and ends at Pittsburgh Landing, this 35 mile journey is packed with adventure not only will the fishing give you a thrill but a few rapids await. 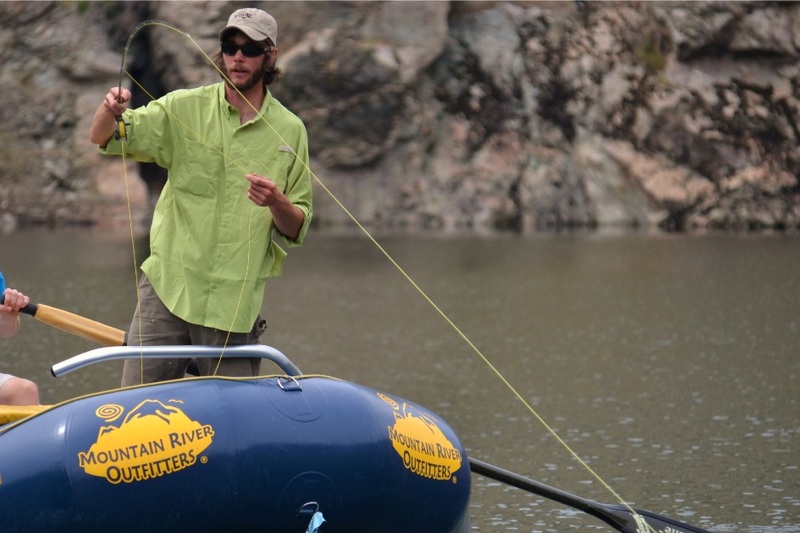 This is truly a fly fishing adventure of a lifetime. This trip includes everything the 4 day expedition has with an additional 30 miles of spectacular scenery and of course more great fishing and adventure. This scenic section will give everyone a sense of adventure as you fish and hike the mouth of the blue ribbon Imnaha River and journey past the confluence of the Salmon River. This trip is not just for the fisherman but the whole family, it will impress everyone with natural beauty, wildlife, hiking, whitewater and relaxing at a different setting at camp every night.